Let us Take Care of Catering Your Wedding! At the historic Ashland Springs Hotel we celebrate all things Oregon: its farms, orchards, creameries and wineries, offering dishes that excite and surprise with freshness and flavors. Our Executive Chef, Franco Console is a master in showcasing opulent seasonal ingredients delivered daily from local farms, delighting our guests with the flavors of this amazing region. We offer a complete selection of menu choices and can create custom menus suited to every palate. Inquire about our Off-Site Catering for your wedding or event! Ashland Springs Hotel offers full service catering, all customized to your unique location. Our team of experienced chefs who work at Larks Restaurant, offer extensive and custom menus, using specialty foods from Southern Oregon’s local farms and vineyards. The success of your special day depends largely on the quality of the caterer you select. 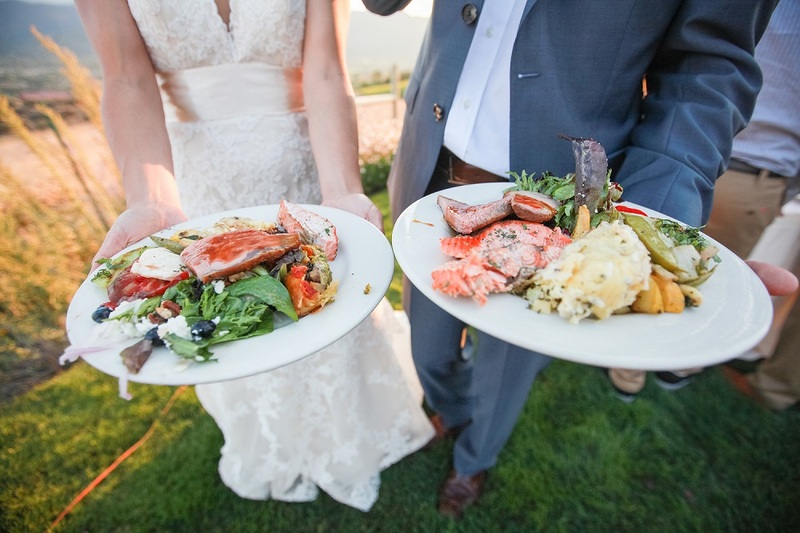 Ashland Springs Hotel offers high standards for all of our customized wedding catering at your preferred site! Our professionally trained banquet staff takes your guests on a culinary journey with fabulous service and extreme attention to detail.